Here are the Rottweilers currently available. Hope you find something you like. 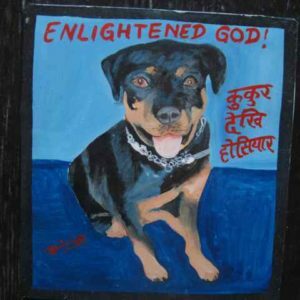 Moose the Rottweiler is handsome with his deep blue background, as painted by Nara of Asha Arts. Moose the Rottweiler is handsome as he lounges in the fields. 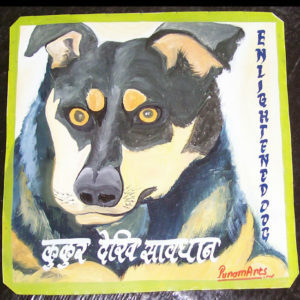 By Asha of Nara Studios in Kathmandu. 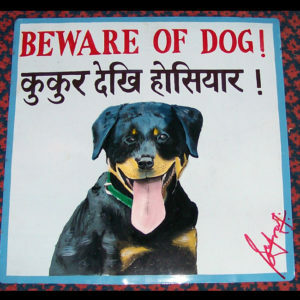 Punam painted this cartoon portrait of a Rottweiler. 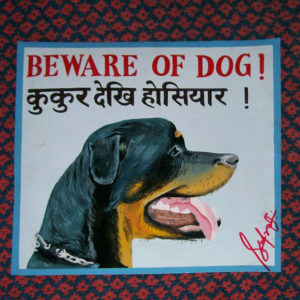 Moose is a Rottweiler puppy in this portrait by Ram Krishna. 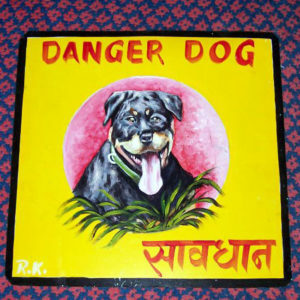 This profile of Moose the Rottweiler is by Sufraj Khadka. 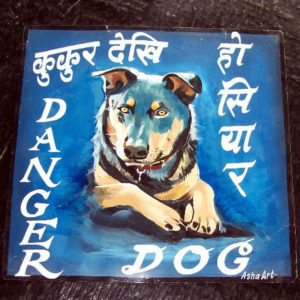 A simple portrait, this is very like traditional signs found on gates throughout Nepal. 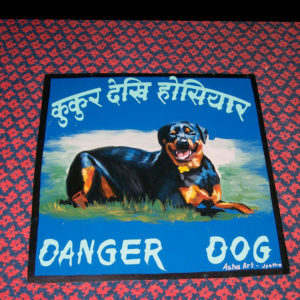 Young Moose as a Rottweiler puppy is painted by Sufraj Khadka.